CLICK HERE to view this newsletter as a webpage. CLICK HERE if the NEW Redbud logo doesn't load properly. CLICK HERE to watch a special Redbud video starring first grader Marydith. ** Am I administering the Redbud program strictly in my library, or am I going to try to get classroom teachers involved? ** Should I start slowly this first year, perhaps one grade at a time, one classroom per grade, or only with the classrooms of teachers who wish to participate? ** Should I try to expose all sixteen books to each grade, or should I divide the list in half, using the eight shorter books for PK and K, and the eight longer books for 1st and 2nd? ** How many times am I personally willing to read each Redbud book aloud? ** Do I want to eliminate books through a bracket-style head-to-head competition, or do I want to have the students vote for books individually? After you've considered these questions, let's move on to implementation ideas and problem-solving below. 1. Divide the sixteen Redbuds into four groups of four. Week one: read two of the four books and have the students pick a winner. Week two: read the other two books and have students pick a winner. Week three: read the two winning books and have students pick a winner. Repeat this three more times, until all sixteen books have been read aloud, and four winners have been chosen. Over the final 2-3 weeks, read the four winning books again and have the students vote via secret ballot for the ultimate winner. 2. Use a bracket and read the Redbuds head-to-head each week. Weeks 1-8: read two books and eliminate one. Weeks 9-12: read the eight books that advanced in the bracket. Weeks 13-14: read the final-four books and let students vote for a winner. 3. Divide the books up into "quick reads" and "longer reads". Each week, try to read either two quick reads or one longer read until you've read them all. After you've read the Redbuds, do a review of the titles (we are working on a video for this) and allow the students to vote for their favorite. 4. Similar to #3, but design a simple way for students to vote/rate each book after you read it. Then, read the four books with the highest ratings again and allow students to vote. 5. Give us some more information about your schedule, and how many books you have time to read each week, and we will help you with your custom plan. All we need to know is which title won in each classroom. The book that wins the most Oklahoma classrooms will be the Redbud Award winner! Click HERE for two options for submitting your school's votes. Problem: I'm a librarian trying to do this on my own and I don't think I can read the Redbud books over and over and over to all of these classes! Solution ideas: 1) Start with just one grade this year, and add a grade each year. 2) Only read the eight shorter books to grades PK-K and the eight longer books to grades 1st-2nd this year. 2) Invite your principal, parent volunteers, or even older students to read the books. 3) See if your classroom teachers would be willing to help read some of the books in their classrooms. Problem: I only bought one set, but twelve classrooms are participating. 1) Check out four books to each grade for one week. During that time, participating teachers will read the books aloud and determine their class favorite. Rotate the books to the next grade and repeat. After all grades have determined their four favorites, let them check out the four books for one week and read the books one more time. Allow students to vote by secret ballot. 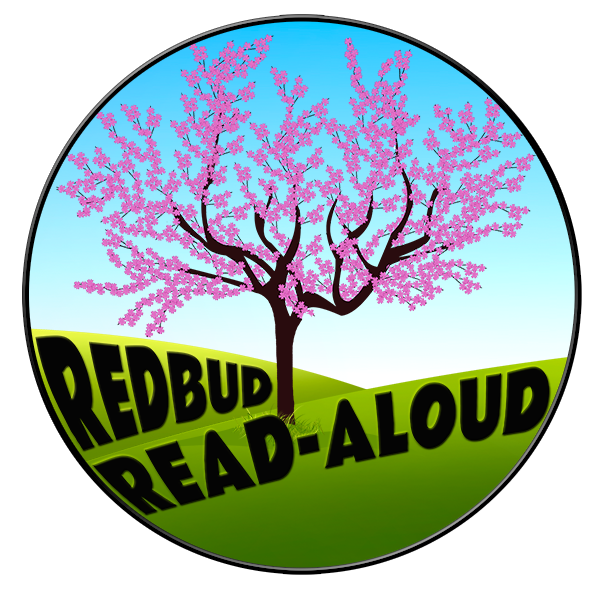 2) Have each participating teacher check out the Redbuds for one week and encourage them to read at least eight books aloud and determine a class winner. If they want to do all sixteen books, give them an extra week. 3) Check out the Redbuds to each grade for four weeks and encourage participating teachers to share and work together to complete the program during that time. Then pass the set to another grade for four weeks. 4) Run the program during class library time, reading a Redbud or two each time a class comes for their library time. 5) Designate one Redbud day each week for each grade level. On that day, each grade reads from the Redbud set. For example: Monday PK, Tuesday K, Wednesday 1st, Thursday 2nd, etc. Build listening and analytical skills using quality, fun literature. Experience concept of choice and voting procedures. OK Sequoyah Book Award Program. Honor an author whose book has been enjoyed by children across Oklahoma. Been evaluated and selected by The Brown Brothers, their families, an amazing group of 12 Oklahoma librarians, and a 1st-grader with a voracious book appetite. AR level under 3.0 and interest level of P-2 in their Perma-Bound catalog entry. At least one starred review - waived for Oklahoma authors. Copyright dates from July 1, 2016 through June 30, 2017. A living author residing in the United States. Votes are due by April 30th, 2018.
read aloud and enjoyed are eligible to vote. Tell us how your school plans to do the Redbud program! Check in at www.brownbrothersbooks.com for more support. We are working on new videos, colorful brackets, and extension activities. The winning author will be invited to receive their award at the 2018 OTA/Encyclo-Media conference and encouraged to schedule school visits. Need posters? Order the Redbuds from Perma-Bound and ask me for a poster for you - and for any classroom teacher planning to participate - while supplies last. I am here to support you and serve you throughout the 2017-2018 school year. Please never hesitate to contact me by phone or email. Have a wonderful school year!!! !